For rainy days you're going to need yourself some good rain gear! While I can't control my umbrella blowing the wrong direction, I can make sure I wear a stylish trench coat for in-between fall weather and rain boots for all those puddles I walk through. Rain boots really are the best investment you can make for yourself! However my boots always separate at the seam so I end up buying the same pair of boots every year! 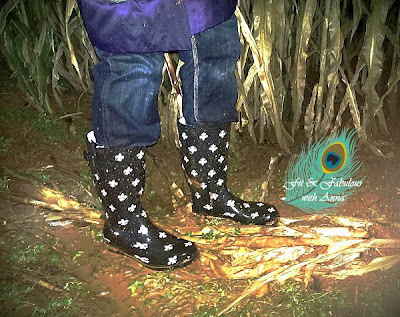 After walking through a muddy corn maize at night in the pouring rain a couple week ago my boots couldn't handle the pressure and I ended up with wet feet which was the worst feeling ever! I was trying to decide if I should buy yet another pair of the same boots or invest in a more expensive pair. 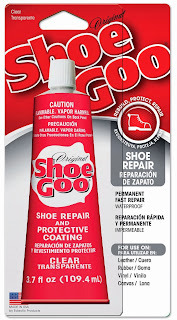 But upon reading reviews for other boots people said they leaked too so I decided to repair my boots. 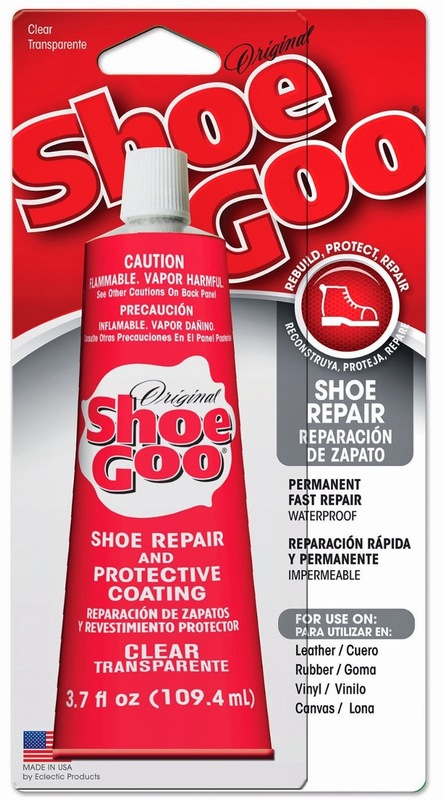 I bought this Shoe Goo for $5 that comes in clear or black, I got the clear. I was nervous about gluing my fingers together but it was a pretty clean application and easy to use. I put a thin coat along the seams, let it dry overnight, then put a second coat on. Did a test in my bathtub and my boots are indeed sealed!